One of the things I love most about my partner it that she’s a woman with vision—a woman who feels strongly about helping others—especially the poor in developing countries. 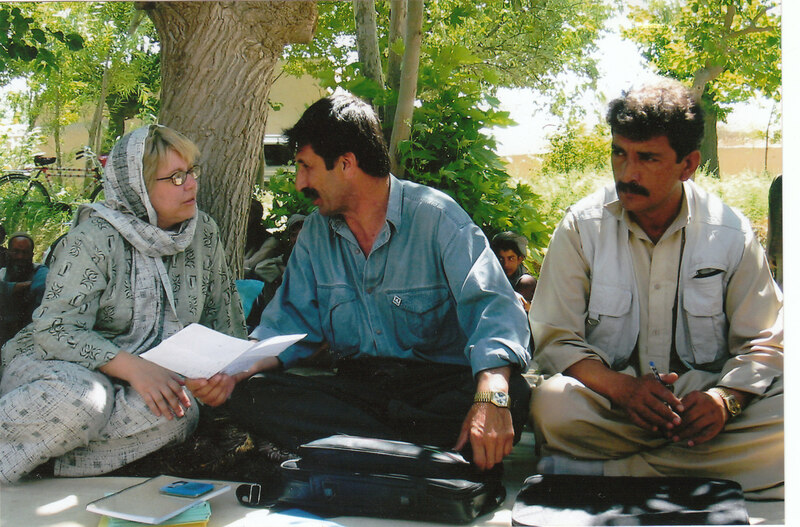 In fact, Sara has worked almost her entire professional life on behalf of those in need, especially those whose housing was destroyed by natural disaster, as after the 2004 tsunami in Southeast Asia or by conflict-based disasters, as in Afghanistan following the fall of the Taliban in 20002. An architect by training, Sara entered the field of poverty housing—first locally here in Lexington, eventually expanding her work regionally, nationally, and ultimately internationally. She has worked globally now for more than 15 years, largely in Asia and Africa, but also some in Latin America. However, as regular readers of my blog will know, Sara lost her job the week before last—lost it because she does disaster response, specializes specifically in the early stages of intervention. Since there hasn’t been another massive disaster since Haiti, where we spent a year, and Japan, where Sara’s NGO will not be building, Sara is between jobs. Yes, she could go back to that organization when another disaster occurs, and she, indeed, may. However, in the interim, Sara is exploring the possibility of starting her own non-profit organization here in the the US, one that would funtion as an NGO internationally. 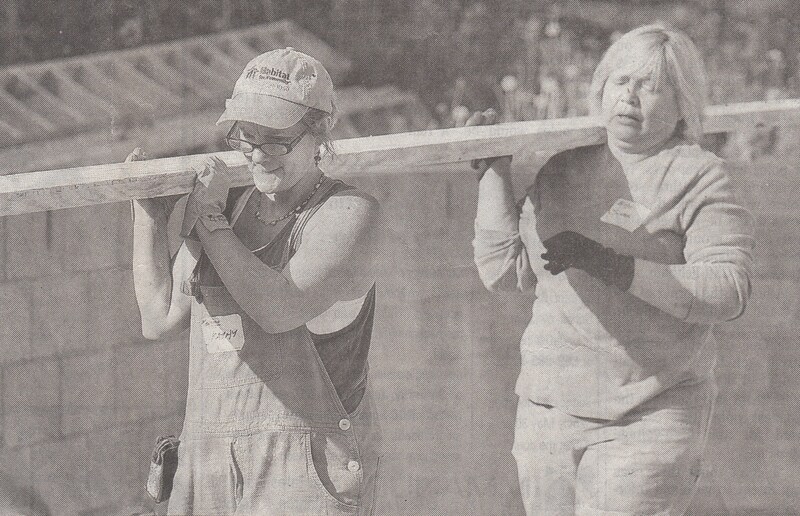 This may mean little in terms of income in the short-term, but in the long run, it would allow her to work out in very personal terms the gifts she feels she has to offer apart from the on-again-off-again work of disaster response. It would also allow her to explore a vision for intervention in developing countries she’s had for quite some time—namely, the opportunity to explore ways in which green design and sustainable building projects can serve the poorest of the poor. More specifically, she’s looking at starting an NGO that would, among other things, at least initially, build fully sustainable hospitals in developing countries. Clearly, sustainability is an issue of huge importance when building in remote locations in countries without well-developed infra-structure, but it’s especially important if one wants to bring medical care to places that need it most, places where hospitals have not been built before for the purely practical impossibility of doing so, without the electricity and water supply needed for such facilities to operate. It’s sad to think about the numbers of people who die needlessly every year from diseases that would never kill Americans or others in the developed world, simply because they have access to medical care. According to the 2010 UNAIDS Report, globally 2.6 million people were newly infected with aids last year, with a massive 69% of those cases occurring in Sub-Saharan Africa alone. The World Health Organization estimates that a child dies every 45 seconds from malaria in Africa, while annually 3-5 million people are infected with cholera world-wide. When we were in Haiti last year, we witnessed the devastation cholera can have on a country without the infra-structure necessary to bring medical care to the most needy. In fact, Haiti changed both Sara and I in more ways than I can begin to enumerate here. However, I believe Haiti’s lack of infra-structure, while it appalled me, caused Sara to realize in new and profound ways the role sustainable building projects could have in transforming living conditions in the poorest country in the Western hemisphere—especially as she saw cholera needlessly kill and sicken hundreds of thousands. We don’t know that this dream of Sara’s will be realized in the short-term. She will continue to look for work in the field of disaster response and international aid with already-established NGOs. We are even considering the possibility of my looking for work teaching English abroad. We don’t know what the future holds exactly. I do know, however, that this not-knowing is teaching me a lot personally about accepting the unknown, about embracing new possibilities, about being willing to dream new dreams and reach for higher heights. If this blog is about reinventing our notion of event horizon, it would seem I’ll have plenty to write about, as we are, indeed, on the verge of something wholly new and hugely exciting—on the brink of a bright new future—a shining new notion of what it means to share our lives with others, caring, daring, staring straight toward tomorrow—event horizons forever reinvented. Thanks, as always, for riding this horizon with us. Your caring encourages us to continue reinventing who we hope to be and how we hope to share. Blessings and bright tomorrows to all of you! This entry was posted in building projects, cholera, disaster, Haiti, Homelessness and tagged cholera, disaster, disaster relief, green design, Haiti, health, health care, hospitals, international development, life, malaria, medicine, sustainability, World Health Organization. Bookmark the permalink. Good luck at this interesting time. Thanks, Kirsten! It’s great to hear from you! It is an “interesting time,” indeed! Hope you have a great day! You are two amazing and inspiring women. Ah, thank you , Lisa! I’m humbled by your comment, my friend! You are dear! This is exciting news, and I’m so moved that you both dedicate so much to helping others. Can’t wait to follow the journey! We can’t wait ourselves, to be honest! I think the fact that so much has been given to us makes us want to give back. We are blessed! Sounds like a fantastic opportunity for two very talented women and you both have so much to offer. All the best, Kathy and Sara. I hope it will be an opportunity. Now it may be little more than a dream, but, gosh, it would be wonderful to serve in this way! Thanks, Marianne! Sara’s certainly got the experience to start her own organization – it’s refreshing to see somebody so dedicated to doing good things in the world! It’s always exciting to watch as people lean into who they are–to dig deeply into their faith, while taking a swandive into the unknown. Wow isn’t that the truth! When you’re diving into the unknown, faith is all you really have to depend on, I guess. I think you are also right–we are, indeed, on an adventure! Thanks so much for reading, Jane! As always, lofty goals; very inspiring. So glad we are along for the ride! Ah, thanks, Deanna. It’s great to know you’re inspired, and I am so pleased you are along for the ride! It’s always an interesting journey! What a great opportunity to let all the half-dreams and tidbits of possibility free so you two can poke and ponder and circle each one. It’s wonderful to be on this journey with you. I really, really love to have you along, Sandy, as you always have such great spiritual insight, my friend! I’m so glad we found one another’s blogs! Thanks for taking us along with you guys, Kathy! I hope Sara is able to realize her dream! It is indeed a wonderful cause…best of luck in starting the NGO. Thanks, Charles! I hope it goes well and we are able to eat in the interim! Have a great day! How inspiring the two of you are! I’m hoping for nothing but the very best future ahead for both of you. Dream big!! Don’t worry, Dana–we are dreaming huge, my friend! Sara is an amazing woman! I wish I had just a half of her energy and foresight. She could have taken the easy route and designed houses and made lots of money. Instead she had/has a vision and luckily for the rest of the world, she’s willing to dedicate herself to fulfilling it. I have to agree, my friend. She’s pretty amazing!! But I may be a bit biased, don’t you think!? You are right–it would have been more secure financially to design houses for rich people–but, Sara, just doesn’t care about money. She really, really doesn’t. Doesn’t care almost to her own disadvantage–even survival sometimes. Wow, Cheryl! That’s an amazing quote! And actually it hadn’t occured to me that there might be resources to help start-up NGOs! Maybe Sara has, but I haven’t. I will ask. Thanks for this suggestion! And thanks, also, for believing in us! We so appreciate the support, Cheryl! You and Sara are amazing women. I hope all of your dreams come true. Thanks so much, Robin! We appreciate your support and well-wishes! Hope you had a great Thursday!